Batik with revelation motifs Tumurun is one of the motifs that are often used. This motif is much preferred because of the beauty of the pattern and its deep philosophy. We can recognize this motif easily from the specificity of the pattern. Just look at the pattern of the main motive. Flying crown pattern looks more prominent with the addition of a pair of chicken motif or bird face to face. Inside a common crown is filled with flowers. As an additional motif, there is a growing pattern of plants that blossom, or in a variety of batik better known as cement motifs. Can also be decorated with floral motifs or truntum, motif ukel, sogan, also granitan. This additional motif as a variation of the main motif of revelation he down. Batik motif revelation Tumurun has been known since the year 1480 in Jogjakarta region, then spread to various regions. In each region is the motif of revelation he has experienced the development of motive variations. In Jogjakarta, the commonly used bird motif is the peacock. 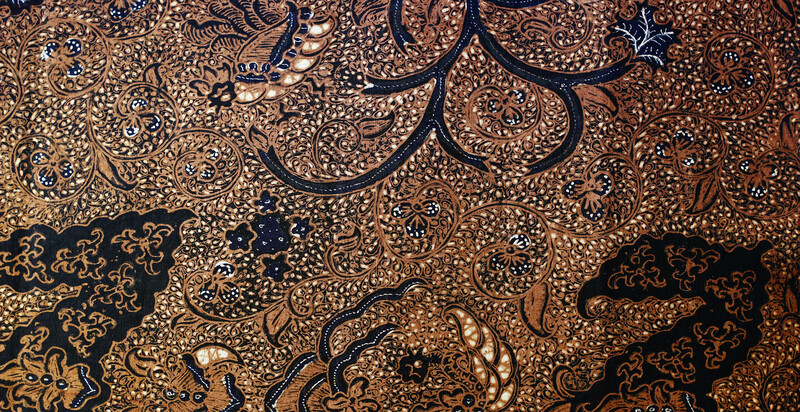 Peacock is considered as a local symbol of Jogjakarta that shows the origin of batik motif. While in Solo varying the peacock motif with the phoenix bird, the phoenix bird is not a local bird. The replacement of peacocks with phoenix is due to the influence of Chinese culture which was then developed in Solo.